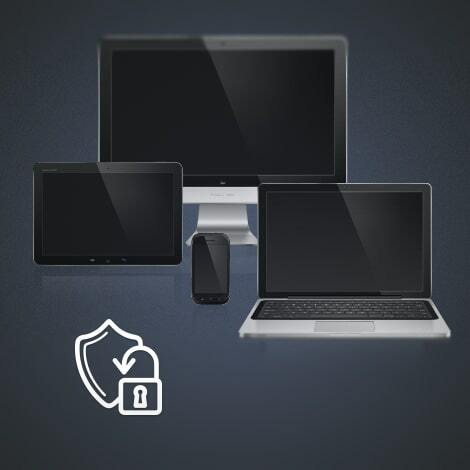 PC Security refers to technologies used to secure PCs, laptops and other personal devices on a network . PC security deals with both private and public computer networks. Any unauthorized and illegitimate access is restricted from infecting any virtual information, equipment and services. PC security is critically important to prevent change or damage that can be caused due to any malicious threats. PC security is also referred to as IT security or cyber security. PC security most importantly focuses on protecting organizations and individuals from data breaches that generally permits the cybercriminal to access data and resources relating to that. Cyber security is a protective measure that helps to provide data confidentiality making it available for a secure access. PC security ensures data protection of digital assets like servers, desktops, laptops, network and more Cybersecurity mainly focuses in securing data during the process of transmission. A system or any other device can be vulnerable when they are prone to kind of malicious attack. System vulnerabilities often open the door for a hacker to attack the system. It is also called as the attack surface. There are many ways that the system can be attacked. To know how to secure your computer from vulnerable attacks, you should first have knowledge about the various modes of attacks and the threats responsible for it. Backdoors - A backdoor is an algorithm that escapes authentication and validation factor of security and helps the cybercriminal to remotely access the computer and remains undetected. Denial-of-service attack (DoS) - They are developed and generated by cyber criminals on the targeted machine to render it unusable. This is also called as distributed Denial of Service (DDoS) attack. They create an attempt to ensure that the network resources are unavailable for the users to access it. Direct-access attacks - Cyber criminals can perform an unauthorized remote access on its victim's computer remotely. By doing so it can compromise the system's security, Keyloggers, computer worms are some kind of malware that can process an unauthorized remote access, thereby the criminal downloads a huge amount of sensitive data from the target victim. Eavesdropping - This is an unauthorized tracking of private communication over the network. It can be instant messages, phone calls, emails and other services over the network. Eavesdropping does not interfere the normal operations of the targeting system, hence the sender and the recipient of the messages are not really aware that their conversation is being accessed. This is done by exploiting security loopholes over the network. Spoofing - Cyber criminals find security backlogs over the network to and pretends to be an authorized program or an application, hence gaining remote unauthorized access to sensitive information. Data Breaches - This is done by compromising major companies' systems to gain access over the critical information of the company and is moved to an untrusted environment. Antivirus: Antivirus software helps to scan and detect any kind of malware that includes viruses, worms, rootkits, keyloggers, ransomware and more. Frequent updates and fixes on security issues of antivirus are very much important and should be made available to the users to update, even before the vulnerability affects the users system. Firewall: A firewall does not allow unauthorized access on the users' system while connected to the network. All that enters in out of the internet, has to pass through the firewall, hence gets examined and if the messages are found to be unauthorized and do not satisfy the security rules, they are blocked instantly. Internet Security Suite: An internet security suite provides a multi-layered security approach hosting antivirus, firewall, anti-spyware, Behavior analysis, Virus scanning, scheduled scanning and more. Enhanced versions of internet security suite implements heuristics based protection and prevention. Cloud Storage: This helps to secure the users' data and contributes to PC security. The data, when stored in your PC, occupies a lot of memory, to avoid this and to secure it from the malicious hackers, the data can be stored over the cloud, by managing a cloud storage account and hence help secure data.